The student’s progression in acquiring skills in these education-based games and interactive simulations are preserved in a private secure cloud, visible to the teachers in a web-based dashboard . After several hours of “negotiation” with the students, they finally agreed that getting the app into the app store sooner rather than later is worth giving up some features that they came up with. Our goal was to submit the app to iTunes just before Christmas, 2012. Ideally, coming out for the Christmas season, and doing a big PR push would have been great, but we started in mid-October. It’s just not possible to build an app, stabilize and get it through the iTunes approval process in such a tight timeframe. 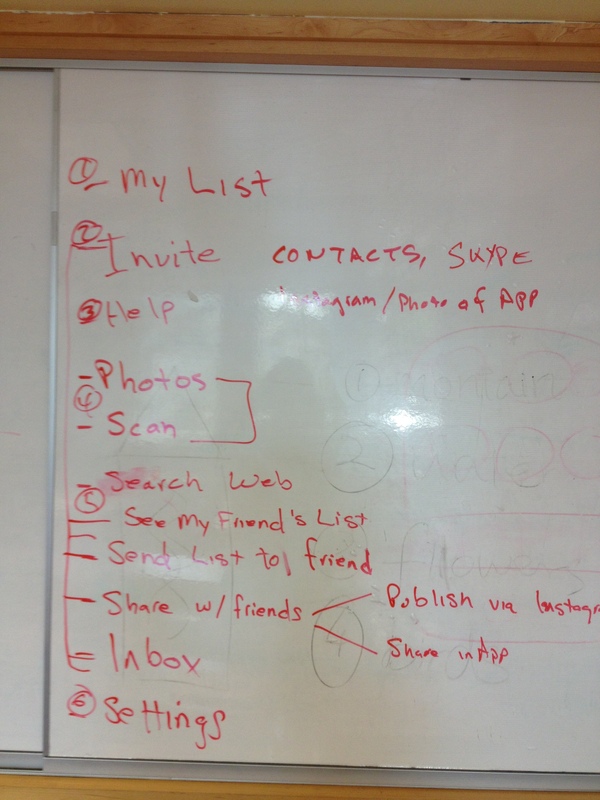 Of course, prior to even meeting with the students, I had built all of the “plumbing” of the app. I had a picture in mind of how it should operate, and what the cloud-based server should do. I assumed (rather incorrectly) that there idea of the app would simply be a revision of what I had engineered over the prior two months. This “raw” product was an iPhone/iPad/iPod app that maintained a list of gifts kids would want (stored on the mobile device), and would allow the kid to search the web for adding new gifts. Since our engineers had already built a “safe search” product (McGruff SafeGuard Child Safe Browser), we were starting with safe search technology. I also added the ability to take a photo of a toy and add it to the wishlist, or scan a barcode and add it to the wishlist. The only reason I included some cloud-based storage was to enable sending the wishlist to the parent. The app would send the wishlist to the cloud server, and the cloud server would email the parent a link to the website specific for their child. When the parent clicked on the link, they would see the child’s most recent wishlist. In the end, this was about 20% of what we actually needed on the cloud server. With that list more-or-less reasonable, we were ready to plan out the user interface.